You can listen to Davies' talk in a podcast on the FQXi community website. Sometimes even scientists are in denial. We're in Canada at the moment, at a conference organised by the Foundational Questions Institute investigating some deep questions in physics that lie on the boundary to philosophy. The first session here was called dirty secrets. It looked at uncomfortable problems with existing theories that often get brushed under the carpet. Physicist Paul Davies explored one of the biggest conundrums of them all: life. Everyone knows, and is happy to admit, that we don't understand its origin, but, as Davies pointed out, there are other mysteries hiding in the closet. Why is this of interest to theoretical physicists, who spend their time grappling with mathematical equations rather than test tubes in the lab? Because physics investigates the fundamental building blocks of nature which, after all, give rise to life, though nobody understands how. The question is whether we need new physical theories to explain life. It'll be a while until we can answer this, so for now let's throw open the closet doors and look at some of life's dirty secrets. It is commonly assumed that all life originated from a common ancestor (see, for example, this recent news story). But we don't actually have proof that this is really the case. The life we have studied in detail so far certainly looks like it has evolved from one common root, but it's not impossible that there are "aliens under our noses". There's still plenty to explore in the realm of microbes, and we might possibly discover a life form which doesn't fit in the common ancestor picture. Secret 2: Life cannot be completely understood using "ordinary" biology. We need to add in quantum theory. Naively you might think that quantum physics, which describes the smallest building blocks of matter, isn't required when you talk about bigger organisms. It's certainly the case that to describe the physical behaviour of something macroscopic, say a billiard ball, you don't need to resort to quantum theory: the classical physics of Newton is enough. However, some recent advances in biology have shown that quantum effects do play a role. 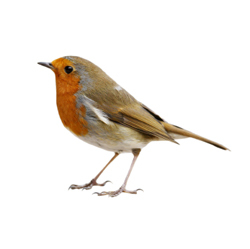 It's been shown, for example, that European robins use quantum processes to navigate their annual migration (see Flying home with quantum physics). Quantum processes also play a role in photosynthesis within plants (see Shining a light on solar energy). And there are other examples too. Just how fundamental quantum effects are in biology is unclear, but it seems that we can't ignore them. Some birds use a quantum compass to navigate. Secret 3: We have not made life in the lab, or are anywhere near doing it. There have been experiments that at first sight may appear to have created life. In 1952 Harold Urey and Stanley Miller conducted an experiment that involved recreating the conditions that were thought to be present when the Earth was young. With the help of electric sparks Ulay and Miller were able to produce different amino acids, which are the building blocks of life. But that's just it — they are only building blocks, not life itself. As Davies pointed out, being able to produce a brick doesn't mean you're able to build a magnificent city like New York. There's a "stupendous gap" between being able to make the building blocks of something and making the whole thing. 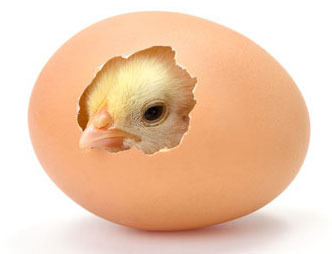 Other experiments that proclaim to have produced life are mere re-engineering of existing life, said Davies. Secret 4: Most mesoscopic biophysics is "make-believe". Mesoscopic means of intermediate size, and the make-believe quote comes from John Widom. We do understand a lot about the structure of DNA and of chromosomes, and many textbooks will have you believe that we understand everything "upwards" from there, to the level of cells and organisms. However, there is a huge gap in the middle. For example, the DNA that exists inside cells needs to be folded up to fit inside the nucleus and that folding isn't really understood at all. Secret 5: Survival of the fittest doesn't alone explain biological complexity. Davies doesn't say that this Darwinian principle is wrong, but only that it's incomplete. Natural selection can only act on what is already there: the fittest organisms survive and pass on their genes, thereby giving rise to evolution. But where did those organisms and life forms come from in the first place? Inspired by the title of a book by Andreas Wagner, Davies pointed out that we don't just need to worry about the survival, but also about the arrival of the fittest. Secret 6: There's little reason to believe that life occurred more than once in the Universe. Current thinking is that there's nothing special about life on Earth and that it should arise wherever conditions are similar to those on Earth — as Christian de Duve put it, life is a "cosmic imperative". But Davies thinks that this idea isn't based on any evidence. Since we don't know the mechanism by which life appeared, he said, we can't estimate the odds of it appearing elsewhere. You can't estimate the odds of an unknown process. Not long ago, in the 1960s and 1970s, the prevailing opinion was indeed very different. People thought life such an improbable accident of nature, they didn't believe it could have happened twice in the Universe. At that time, Davies said, professing an interest in in extraterrestrial life was akin to professing an interest in fairies. Knowing Davie's take on the issue from his other works, I found what is said in this article nothing new, in fact. ...am not familiar with Davies views, so found the article interesting and informative. But thanks for sharing ToughThinker, you are certainly very tough of thinking. This can't be talking about the origin of life due to the last sentence in this article's first paragraph. Therefore 5 seems to have an obvious answer, evolution is seeded by genetic mutation (and mixing of genes in sexual reproduction) and filtered by natural selection. Of course natural selection on its own won't create new genes, but no-one ever suggested it did. The new genetic code comes from mutations.